I don’t know about you, but some days I struggle to get healthy meals on the table. Even though I work from home, I am a busy mom. 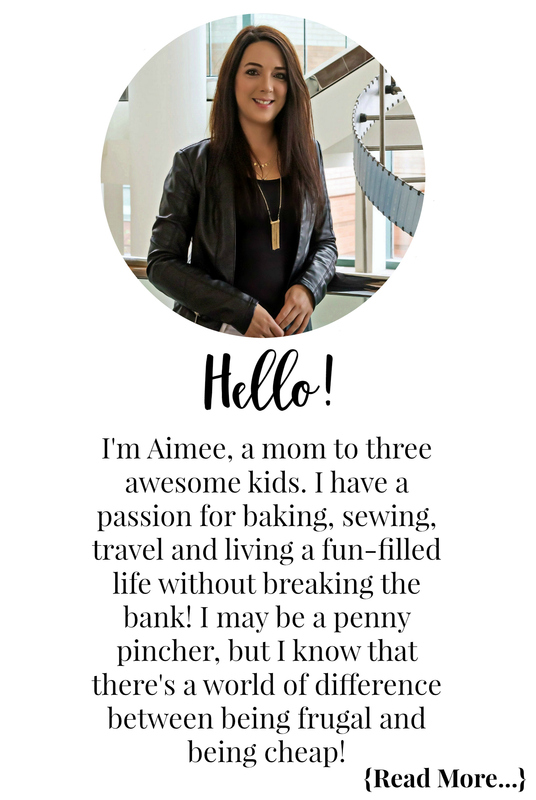 I run two businesses, take care of three kids, and their endless appointments, activities, and more. We’ve really tried to cut back on the amount of fast food we eat, as convenient as it is, it is not very healthy. Once in a while it is fine as a treat, but to rely on it weekly because we are too busy to cook is not good. 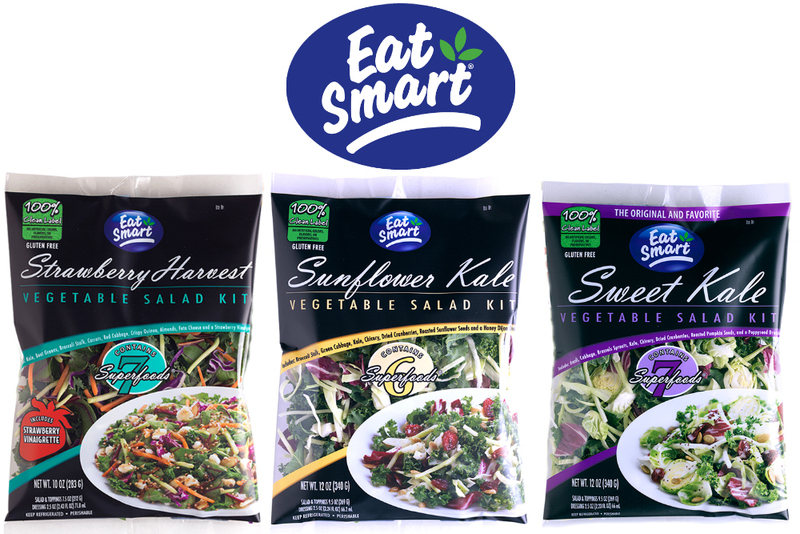 I was first introduced to Eat Smart salads when I came across a printable coupon for $2.00 off any Eat Smart Superfoods Salad Kit. I was impressed that Eat Smart was the first brand within its category to commit to clean ingredients. They also plan for all of their products to contain a “No Artificial: Colours, Flavours, and Preservatives” label by the end of 2018! By the end of 2018, Eat Smart products will be free from high fructose corn syrup, artificial preservatives, hydrogenated fats, as well as artificial colours, flavours, and sweeteners. Their easy-to-understand labels will list ingredients you can recognize and feel good about putting in your body or serving to your family. When we think of convenience foods, we know in general most are not good for us, even if they are “healthier” convenience items. Many have artificial ingredients and preservatives, and other things not-so-healthy things.You can put your mind at ease with Eat Smart, 90% of their products already contain a clean label. This includes all cut vegetable products, salad blends, the most popular nutrient-dense Vegetable Salad Kits (Sweet Kale, Strawberry Harvest, and Sunflower Kale) and the recently launched Salad Shake Ups. By offering salad kits with No Artificial: Colours, Flavours, or preservatives, Eat Smart is providing consumers with another healthy option for realizing their personal wellness goals. The Eat Smart Gourmet Salad Kits are inspired by Chefs and offer sophisticated blends of 6 or more superfoods. These delicious salads offer those of us with busy lives, convenient yet healthy options to fuel our bodies with the nutrients they need. Pair these salads with your favourite meals as a side dish OR cook up some chicken or beef and transform these delicious salads into a main course! 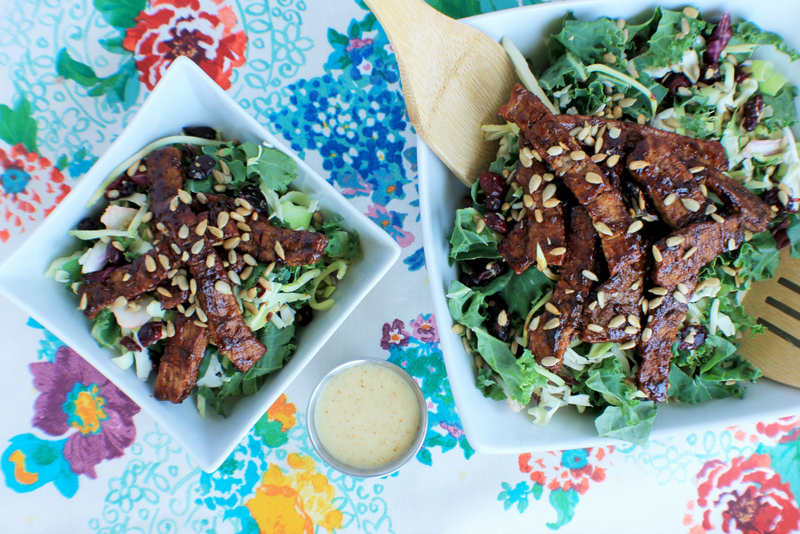 Keep reading below for a delicious recipe using the Eat Smart Sunflower Kale Gourmet Salad Kit. Eat Smart offers a variety to choose from when it comes to their gourmet salad kits. Sweet Kale, Strawberry Harvest, and Sunflower Kale are the three that currently contain a 100% clean label. That means there are no artificial colours, flavours, or preservatives inside! 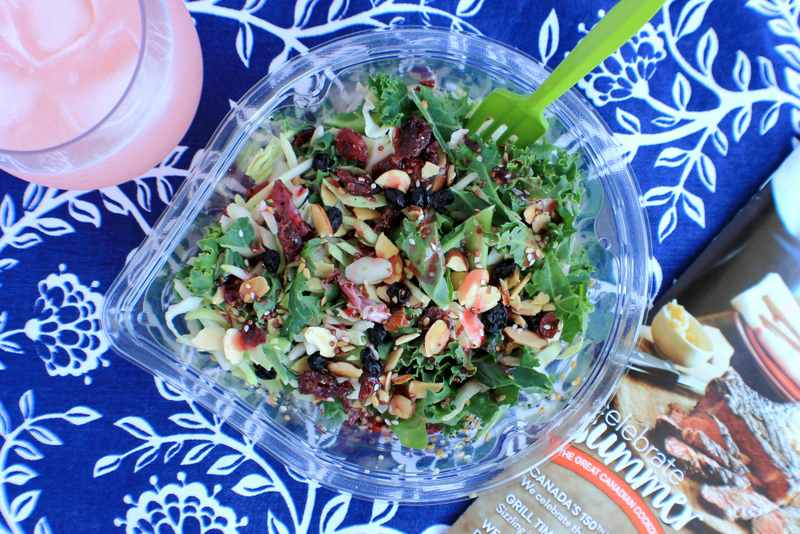 The Eat Smart Salad Shake Ups are a new, mess-free way to enjoy a salad anytime, anywhere. They are perfect to pack for your work lunch, you can pre-cook a chicken breast the night before to get in some extra protein. Salad Shake Ups feature a unique lockable lid for easy mixing, and a sturdy deep bowl, so if your kids have after-school activities and need a quick refuel, these are perfect for on-the-go too! If there is one thing I tend to do during my day is forget to eat. Well, it is not so much that I forget rather than I am usually so busy. Between tending to Bella’s needs (and demands lol), as well as working on my blog and handmade clothing business, I just don’t have the time to cook. I usually skip breakfast, miss lunch or snack on poor choices, and before I know it, it is 3:00 pm and I am in hangry mode. Having a few Eat Smart Salad Shake Ups in the fridge has really improved my energy which has improved my productivity since I am actually eating before 3:00 pm, and not just snacking on junk that makes me feel weighed down. 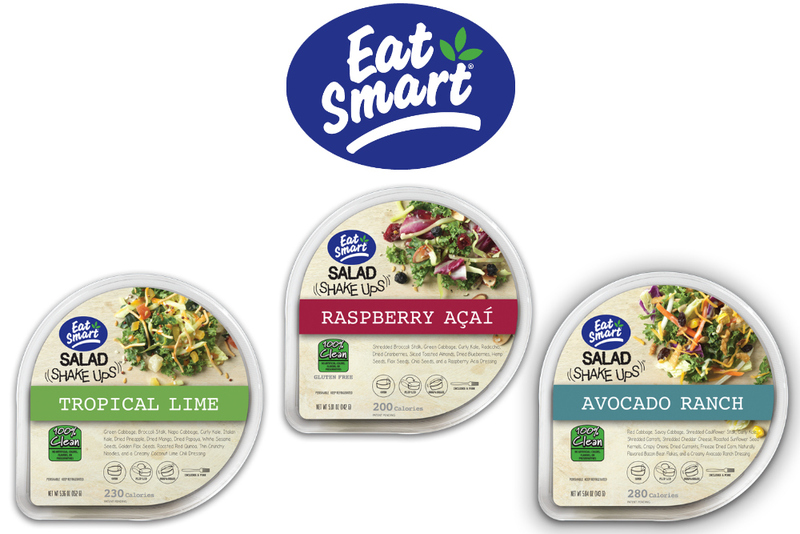 There are three varieties of the Eat Smart Salad Shake Ups; Tropical Lime, Raspberry Açaí, and Avocado Ranch. All three contain a 100% clean label containing no artificial colours, flavours, or preservatives. Eat Smart salads are packed with goodness, and this salad is no exception. From the vegetables to the dried fruits, and the creamy coconut lime chili dressing, it was definitely my daughter Hailee’s favourite. She has since demanded asked that I get her some for her school lunches. The Eat Smart Raspberry Açaí was definitely my favourite. I loved the crisp, fresh vegetables mixed with dried fruits and the variety of seeds included (hemp, flax, and chia). The raspberry açaí dressing was unreal, and had just the right amount of tang to it! My better half claimed this one as his the moment he laid his eyes on it. He loves ranch and had to try it out. The Eat Smart Avocado Ranch Salad Shake Ups is jam-packed with crunchy cabbages and vegetables, crispy toppings, and a delicious (in his words), creamy avocado ranch dressing. It’s funny, as a child I was the last person who would touch a salad. Now you can’t keep me away from them. I eat salad at least 7 times a week, more if I do salad for lunch and dinner. I love adding meat to my salads. It not only packs an extra punch of goodness, it makes them a bit more filling. Eat Smart salads have been helping me keep it fresh and new with so many options to choose from. 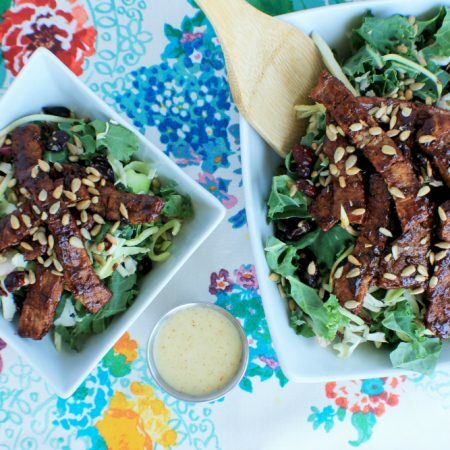 I recently tried adding my favourite quick fry bbq beef strips to the Eat Smart Sunflower Kale Gourmet Salad Kit, it was perfection! In a fry pan on medium heat add in your oil, I used PAM coconut oil spray but you can use whatever you like. While your pan is heating salt and pepper your quick fry beef strips. Once the pan is hot add your beef strips to your pan in a single layer. Cook the beef strips on both sides, about 1 minute per side. Next squeeze some of your bbq sauce into the pan and mix well until all the beef is coated. Turn off your heat and let the sauce caramelize a bit while you get your salad into a serving dish. Pour your salad into a serving dish, add the beef, then sprinkle the sunflower seeds on top. Lastly, drizzle your dressing on and enjoy! Will you be implementing some Eat Smart Salads into your busy life? Let me know which one you plan to try first in the comment section below! Follow Eat Smart on Facebook, Twitter, and Instagram for inspiration and more. PLUS, head to their website and subscribe to their monthly e-newsletter (scroll to bottom of their site) for exclusive offers! Disclosure: This post was sponsored by Eat Smart as part of an Influencer Activation for Influence Central and all opinions expressed in my post are my own. The Sweet Kale salad is my fave & we always make sure to grab a big bag when we go grocery shopping but I’ve never tried the Salad Shake Ups – I’ll definitely be on the lookout for them during our next grocery trip! Thanks for the suggestion – I think the raspberry one would be my fave as well but I’m sure the Avocado Ranch would be a close second. I need to look for the shake ups. I buy the honey dijon bagged salad once a month at least. So good! I love those salads! The recipes sounds awesome! Thanks for sharing. The tropical lime shake up sounds quite tasty. These are great to have in the fridge, I like that you can add to them and dress them up the way you like!! I love the sweet kale salad and my fridge is never without it. I love the nuts, cranberry and poppy seed dressing combination. Our family really enjoys the Sweet Kale salad mix but I’d love to try one of the others. the sunflower kale sounds very tasty. I love the variety of these salad kits. THey look so delicious even I would choose this over my typical lunches! I love the Eat Smart salad kits and my kids do too.